Gertrude Caton-Thompson was born in London, England 1888. Her parents were William Caton-Thompson and Ethel Page. Her father died when she was five years old, leaving her with financial stability (Kirwan 2004). She was able to lead a carefree life, with private education and trips abroad. She attended the Links School in Eastbourne (Kirwan 2004), and traveled to places like Rome and Egypt with her family. She recalled a visit to Rome being the first place where she became interested in the past (Atkin), and it was during a trip to Egypt with her mother in 1911 where she became interested in Egyptology (Faculty of Asian and Middle Eastern Studies). Up until World War I, she resided in London and was able to enjoy a very prosperous social life (Kirwan 2004). Also in 1911, she became part of the women's suffrage movement and acted as joint secretary for the London branch (Atkin). Starting in 1917 she began work at the Ministry of shipping and was promoted to a senior secretary position. This job allowed her to attend the Paris peace conference in 1917 (AIM25 2001). She was able to view lectures given by Sarah Paterson about Ancient Greece that piqued her interest in the past even more. As a result, she decided to volunteer as a "bottle washer" for an excavation site while on vacation in the south of France (Atkin). This was her first taste of archaeological work. She was offered a permanent position in civil service, but declined and pursued an archaeological career at the University College in London (Kirwan 2004). A major career change at the age of thirty-three can seem quite daunting, but that didn't stop her from living her dream. She studied with an Egyptologist named Flinders Petrie, and accompanied him on his excavations in Upper Egypt at Abydos (AIM25 2001). She then went on to spend a year at Newnham College in Cambridge to further her education by attending some of the university's classes; with subjects such as Egyptology, Paleontology, Arabic, and surveying (Atkin). She remained affiliated with Newnham College for the remainder of her career (Kirwan 2004). Miss Caton-Thompson was involved in many excavation projects and research over the course of her life. At the beginning of her career, after attending courses at Newnham College, she started off in Egypt where she again joined Flinders Petrie and Guy Brunton at the site of Qau el Kibir (Kirwan 2004). They focused their work on excavations of predynastic cemeteries (Kirwan 2004). While doing this work, she broke the norm of the time, and suggested that more information could be gathered from the settlements, rather than the cemeteries (AIM25 2001). She decided to break away from the group excavating the cemeteries, and started her own excavation at Hamamiyyah, a predynasic village (Kirwan 2004). This show of independence by a woman was very unusual for the 1920s, this along with her new ideas of a more scientific excavation may have led to conflict with Petrie (Atkin). Nonetheless, she made her first discovery at her Hamamiyyah excavation site; she was able to find well stratified remains of the early Badarian civilization (Kirwan 2004). She then continued her work in the northwestern part of Egypt with the geologist Elinor Gardner. Endorsed by the British School of Archaeology and the Royal Anthropological Institute, they conducted a survey of Lake El Faiyûm (Faculty of Asian and Middle Eastern Studies). The goal was to show a correlation of lake levels with the archaeological stratification, however, they also discovered two previously unknown neolithic structures. These structures were shown to be part of the Khartoum neolithic (Kirwan 2004). Caton-Thompson and Gardner were also able to determine that there were two well-marked pluvial periods (Weedman 2001). Afterwards, she was able to present a collection of antiquities to the British Museum from her surveys of Faiyûm (British Museum); furthermore, she and Miss Gardner were able to publish their findings in The Desert Fayum (Kirwan 2004). She again worked with Elinor Gardner in 1930 on excavations of prehistoric sites at the Kaharga oasis. The excavations they started were able to bring forth an entire research program of the palaeolithic of North Africa (Kirwan 2004). She also held excavations in Yemen, the findings of which are located in the Cambridge Museum of Archaeology and Anthropology (British Museum). These were some of her only excavations which were held outside of Africa. Her excavations in south Arabia would be some of the first scientific archaeological excavations to happen there. She excavated places like the Moon Temple in al-Huraydah, as well as tombs located there (Kirwan 2004). Even retirement couldn't slow her down; she continued to perform research and went to visit excavations sites located in Africa. 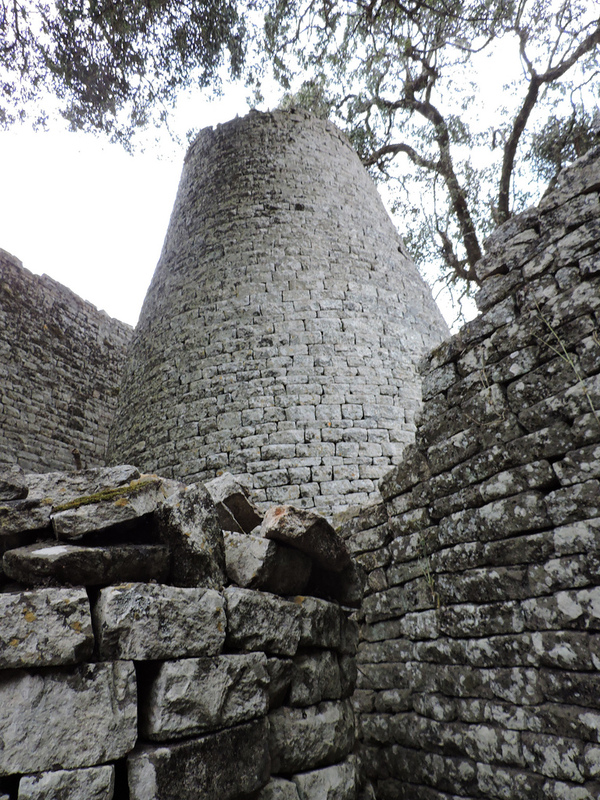 (Great Zimbabwe. N.d. Flickr. Web. 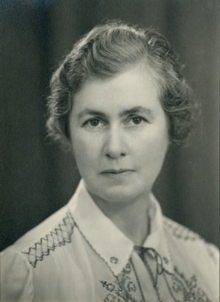 The most well known work done by Gertrude Caton-Thompson was her investigation of the great ruins of Zimbabwe. Zimbabwe means "sacred house" in Bantu, the native language of the area. The ruins of Zimbabwe cover approximately 1,800 acres, and are some of the largest in the southern part of Africa. When the ruins were first discovered, they were thought to be the work of Egyptians or Phoenicians (Mcintosh 1998). A geologist by the name of Carl Mauch, even went so far as to suggest the structure was a work of the Queen of Sheba, and would not even consider the ancestors of the local Shona people to be the erectors (Gentelli). 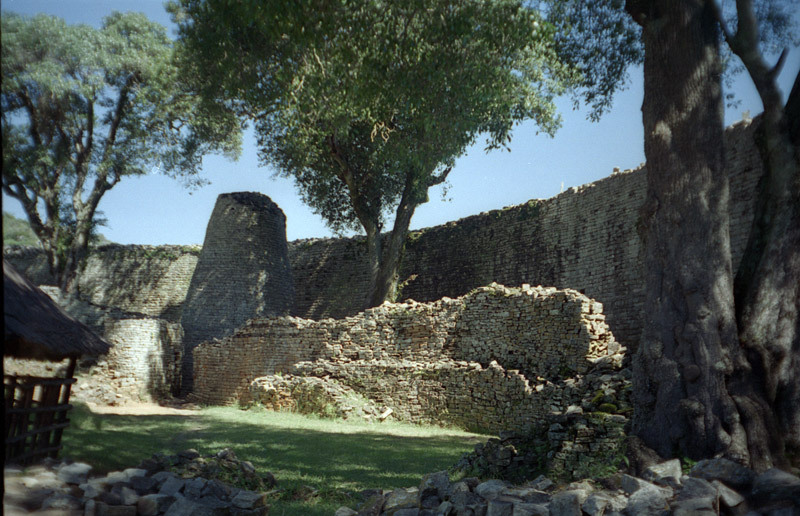 Due to treasure seekers from the nineteenth century and excavators like Keith Hall, who wanted to strip the site of any evidence that might point to native construction, the Great Zimbabwe proved difficult to interpret (Mcintosh 1998). The archaeologist David Randall-Maclver was able to perform an excavation that presented evidence of construction by the local Shona people; he also found evidence of the medieval age through Chinese, Arab, and Persian materials (Gentelli). However, the public would not believe that the Zimbabwe structure could be a product of the local Africans. This led to the intervention by Gertrude Caton-Thompson. She was invited by the Council of the British Academy in 1928 to investigate the Zimbabwe ruins (Weedman 2001). With her all female team of Dorothy Norie and Kathleen Kenyon (Weedman 2001), she took the power of science to Zimbabwe to uncover the mystery. By using her systematic ways of excavation and her seriation dating techniques, she was able to confirm the findings of Randall-Maclver. Although she added that the site was most likely much older than he had first suggested (Gentelli), dating it back to the eighth or ninth century AD; she also found links to the Indian Ocean trade within the ruins (Kirwan 2004). The response that she received from the public was not one of agreement. Her findings came at a time of instability within the surrounding countries of Africa, and were not the findings that most people wanted to hear; very few people were on her side. However, her scientific methods and evidence were clear and couldn't be refuted. Eventually, the Council of the British Academy decided that her findings were fair and accurate. They even went so far to ask her to extend the time period in which she worked there, but she declined with the thoughts that training the native people to excavate these sites would lead to a better understanding of them in the future (Weedman 2001). Gertrude Caton-Thompson did not cave in to her critics; she stood strong with the science that she knew was correct. In doing so she gave legitimacy to her claims and to science, truly making her a woman ahead of her times. Gertrude Caton-Thompson was truly a remarkable woman, who assisted in shaping the future of archaeology. She took the science of archaeology to the next level, and performed thinking that was ahead of her time. Her excavation techniques were unique in showing a concern for the natural environment around the sites that she excavated. She pioneered the way to the surveying of areas for sites, and was also the first archaeologist to use air surveys (Weedman 2001). She was very meticulous in her findings and recordings of artifacts. She would record the exact position of every artifact, while going through soil six inches at a time. She also performed screening of the soils, looking for the tiniest details that could easily be missed in any other excavation (Weedman 2001). She was innovative and critical of her work. She upheld a high standard for the women of archaeology, which was very rare for her time. Her contributions led to the archaeology that we see today. Throughout a long and successful career in archaeology, Gertrude Caton-Thompson received many awards and recognitions. Among these are the Cuthbert Peek Award, the Rivers Medal, the Royal Anthropological Institute's Huxley Medal, and from the Royal Asiatic Society the Burton Medal (Weedman 2001). She published many books, including 'The Badarian Civilisation', 'The Zimbabwe Culture', 'The Desert Fayum', 'The Tombs and Moon Temple of Hureidha, Hadhramaut', and 'Kharga Oasis in Prehistory' (British Museum). As a result of her very successful career, she was able to hold influential positions in many different organizations. She was Vice-President of the Royal Anthropological Insititute, and the first woman President of the Prehistoric Society from 1940 to 1946. She also assisted in founding the British Institute of Archaeology in East Africa (Weedman 2001), and served on the council of the institute for ten years, as well as given the title of being an honorary member (Kirwan 2004). She also received the honors of being an honorary fellow and an honorary LittD of the Newnham College of Cambridge. Furthermore, she was elected to be a fellow of the British Academy and a fellow of the University College of London (Kirwan 2004). However, even with all of these positions and awards bestowed upon her, she never accepted a position as a professor. She was offered the Disney Chair in archaeology at Cambridge, which she declined. It is thought that she just never desired a teaching position (Weedman 2001). It's possible that a teaching position didn't fit her personality, as she was described as being quiet by nature. However, her reserved nature did not keep her from excelling at what she did or speaking her mind. She was excellent in her field, and excelled at working and talking to others about it. She lived for what she did, and she was full of adventure. Supposedly while at Abydos she "slept in an emptied tomb with cobras for company and a pistol under her pillow to ward off prowling hyenas" (Kirwan 2004). She was the type of person to immerse herself in what she did, and do it the best that it could possibly be done. She was respected by collegues, and came to be the person that people would listen and pay attention to. Her contributions to archaeology were immense, and unrepeatable. She was a true innovator and researcher; it was evident that she cared about what she did. In all that she did, she paved the way for women in archaeology and the future of archaeology. She lived life the way that she wanted to, and on April 18, 1985 she died at the age of ninety-seven, in Broadway, Worcestershire. No one can replace the giant that Gertrude Caton-Thompson was, however she will live on though all of her accomplishments. She is a part of everything she contributed to archaeology and will be associated with the practices as long as they are performed. She will forever be a part of both the past and the future of archaeology. Atkin, Alison. "Gertrude Caton Thompson | TrowelBlazers." Gertrude Caton Thompson | TrowelBlazers. N.p., n.d. Web. 05 May 2016. "CATON-THOMPSON, Gertrude (1888-1985)." AIM25. N.p., 15 Feb. 2001. Web. 05 May 2016. Gentelli, Liesel. "Gertrude Caton Thompson | TrowelBlazers." Gertrude Caton Thompson | TrowelBlazers. N.p., n.d. Web. 05 May 2016. "Gertrude Caton-Thompson." - Faculty of Asian and Middle Eastern Studies. N.p., n.d. Web. 05 May 2016. Kirwan, L. P. "Thompson, Gertrude Caton- (1888–1985)." Oxford Dictionary of National Biography. Oxford University Press, 2004. Web. Mcintosh, Roderick J. "Riddle of Great Zimbabwe." Archaeology 51.4 (1998): n. pag. Web. "Miss Gertrude Caton-Thompson (Biographical Details)." British Museum. N.p., n.d. Web. 05 May 2016. Weedman, Kathryn. "African Archaeological Review, Vol. 18, No. 1, 2001 Who’s “That Girl”: British, South African, And American Women as Africanist Archaeologists in Colonial Africa (1860s–1960s)." African Archaeological Review 18.1 (2001): n. pag. Web.